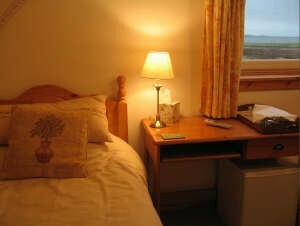 Superior accommodation on the island of Islay. 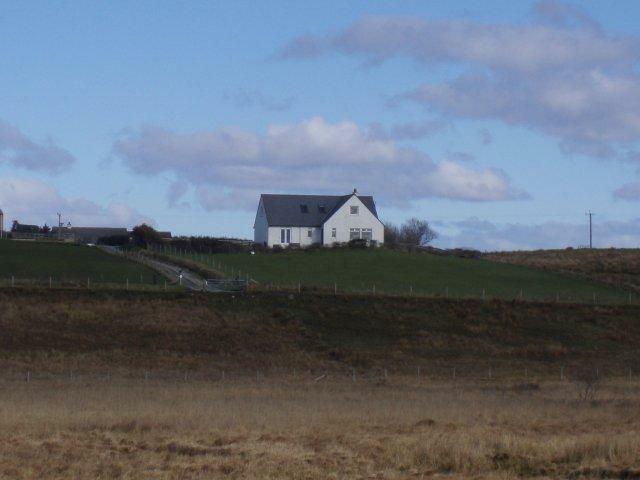 Lyrabus Croft, Gruinart, Bridgend, Islay, PA44 7PL. 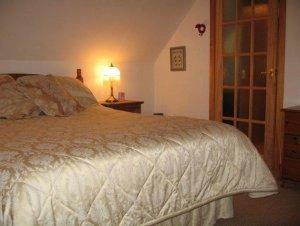 Lyrabus Croft is situated in the centre of the island, 3 miles from the villages of Bridgend and Bruichladdich. It is the ideal base for exploring the island, with beaches, distilleries, RSPB nature reserve and many other attractions near by. It enjoys a peaceful location, with wonderful views. 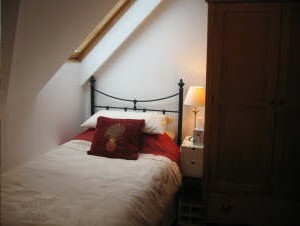 The rooms are well appointed, with all the features that we would expect to find in a good B&B, (en-suite, tv, tea/coffee making facilities, quality linen etc. ), with some extra additions to make your stay even better, (audio system with radio, access to a large catalogue of music or pop in your i-pod; small fridge for food, drink or medication and free wi-fi internet access.). Our full Scottish breakfasts receive many compliments. 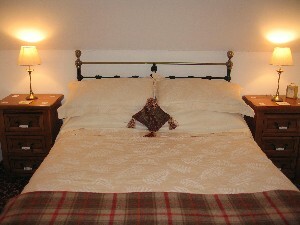 We use our own hens' eggs and locally sourced produce when possible. Fresh fruit, yoghurt, a variety of cereals, porridge, tea/coffee/fruit juice and toast are also on the menu. Please contact Deirdre for booking enquiries: lyrabuscroft@hotmail.com or telephone: 01496 850 374.